Are you looking for a different exhaust sound? MSC offers custom exhaust for your BMW. Depending on what you want, we will custom tailor an exhaust system that’s exactly what you want. Your BMW’s handling is determined by the capabilities and wear of your suspension components. At MSC we install aftermarket performance suspension to improve the handling of your BMW dramatically, like coilovers, lowering shocks and strut springs, Powerflex bushings, upgraded sway bars, adjustable camber/caster plates, adjustable control arms, and much more. 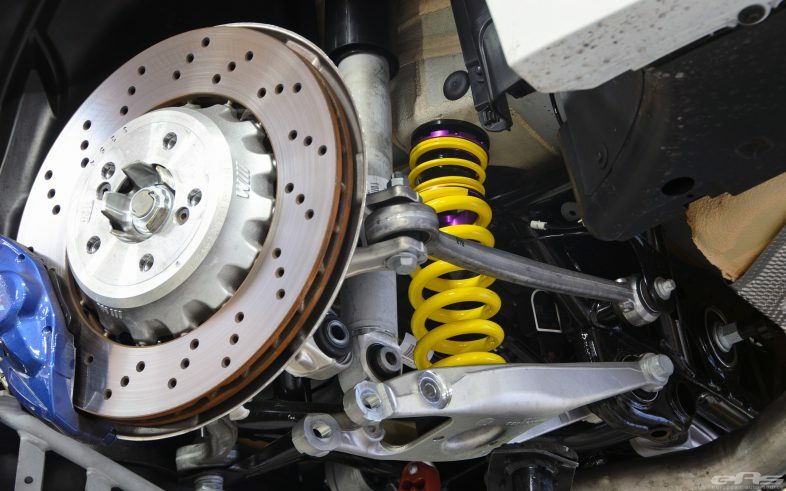 Completely rebuild your suspension for the most competitive BMW driving experience, achieve your perfect look, or simply replace your worn suspension with our recommended upgrades. Performance tuning for your BMW gives it more efficient and effective ECU mapping which favor power delivery over comfort. 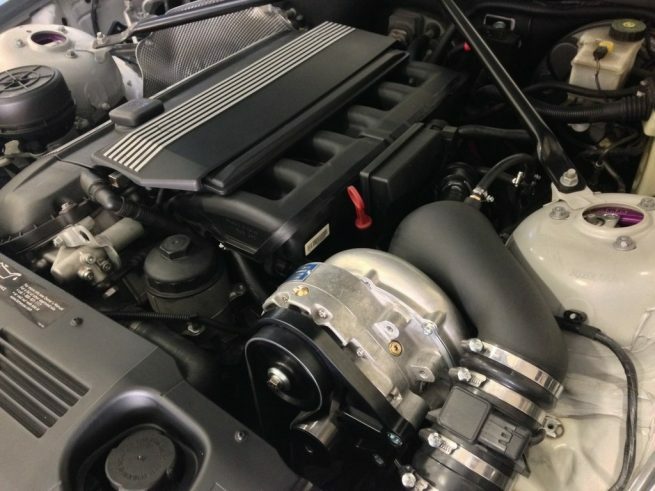 BMW tuning can give drivers a noticeable upgrade in their car’s performance capabilities. Call us to discuss your options in detail, give you BMW the engine management change it deserves. Are you interested in knowing what your BMW is capable of? 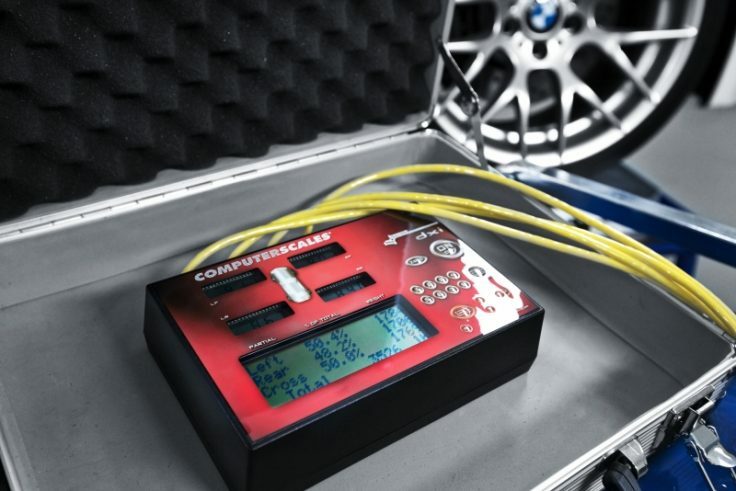 Our DynoJet chassis dynamometer mimic’s how your BMW actually performs on the road. It measure horsepower & torque at the rear wheel. If you are installing modification, we can measure before and after performance of those upgrades that are installed. Are you heading to the track? Do you want optimal handling results? 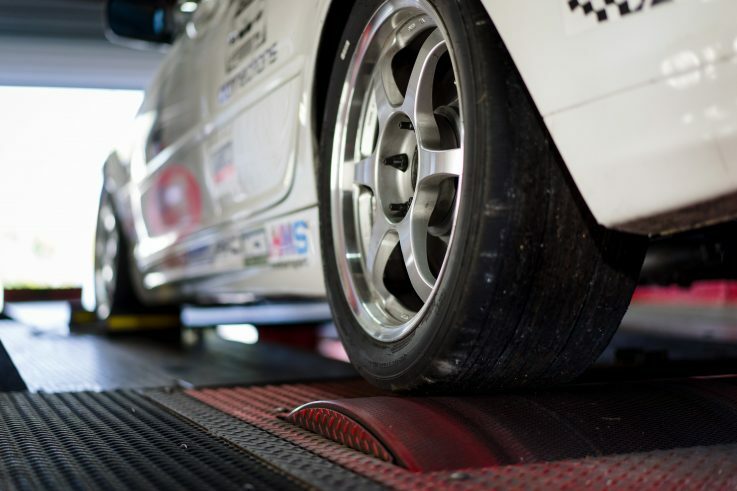 A corner weigh and balance accompanied with a proper alignment can give you precise handling to achieve your best lap time. These usually take a few hours so be sure to call us and set up your appointment. The E46 rear driveline and suspension have an unfortunate problem in the rear mounting points for the subframe. The mounting points can rip out from their spots in the sheet metal. This happens because the rear differential transmits the torsional load from the engine through the subframe, then into the chassis. This constant loading and unloading weakens the sheet metal and causes it to fatigue and separate from the chassis. BMW tried to fix this problem by placing a cross member on the front two mounting points of the subframe. This cross member keeps the front mounting points from having problems by placing the bushing and the stud in double-sheer, thus reducing the twisting action on the sheet metal. The unfortunate side effect of this is that the load from the front of the subframe now gets transmitted to the left rear of the subframe. This is where we have seen many failures of the chassis on low mileage street cars and race cars. 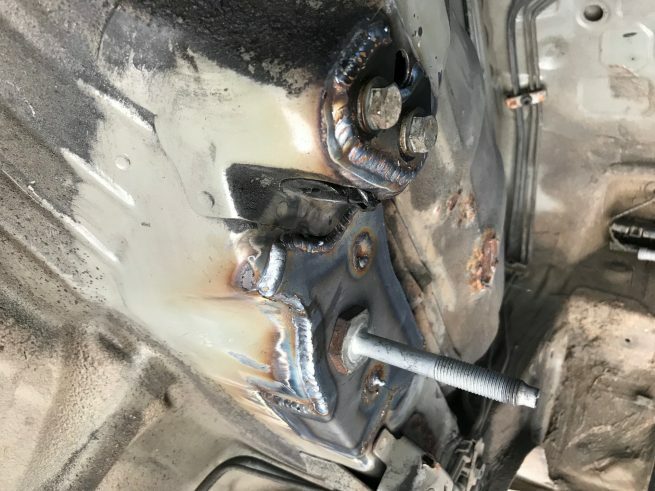 We use the Turner Motorsport reinforcement kit that’s been proven over and over again to be very effective, and ultimately a fit for this problem and is also strongly recommended as a preventative maintenance item. There are many car clubs in the area that offer track events at local race tracks. 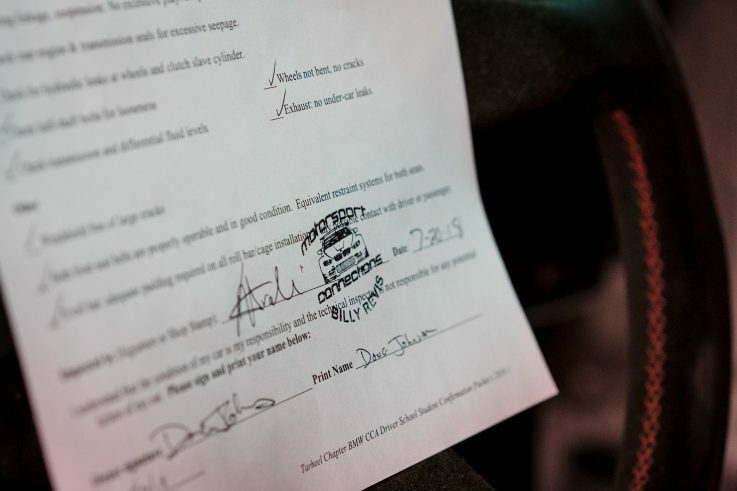 Those events require a reparable shop to inspect the car and complete an inspection form. Call us to get on our schedule, we’ll be glad to take care of those track inspections. All BMWCCA member receive free track inspections. 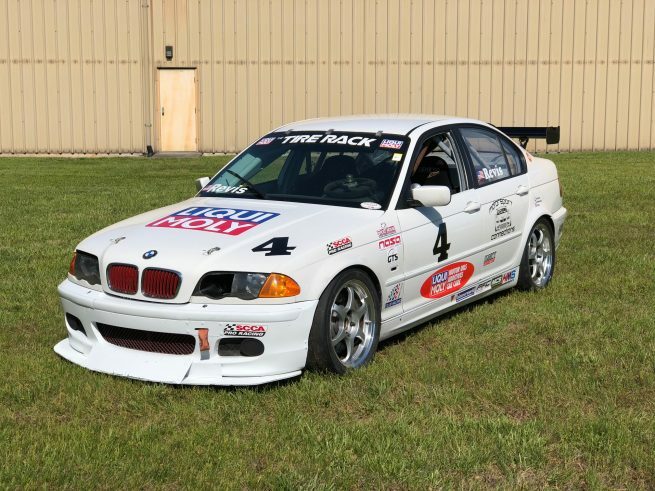 Are you interested in having a car built for dedicated track use? Leave it to MSC to custom taylor you a BMW track or race car. Everything from roll cages, engine rebuild, brakes, exhaust, suspension, safety gear, tuning, and much more. If you are interested in building a race car, come by anytime so we can discuss you needs what options are available to best suit you.